MyClose Srl is founded by 2 major Italian industrial groups: Maggigroup and Technoprobe. Both companies have a long lasting story of successes and expertise in their own fields. Maggigroup is specialized in steel hardware: its products – anchor and hoisting chains, motorbike locks, motorbike brake disc locks and snow chains – are sold to the best constructors in marine and automotive sector. Technoprobe is a world leading innovative and fast growing company in the design and manufacturing of microelectronic components for integrated circuits testing. Its products are sold to the most important semiconductor companies worldwide. The two companies have joined together to fully develop the idea of Iclose, that was the initial project of the motorbike lock with communicating capabilities. The new connected world requires products to be designed with wider contribution and integration of different skills, from mechanic to electronics, from communication technology to informatics. In MyClose Srl we own and manage all these skills. Our team of telecom engineers designs the software applications and database environment for our products. 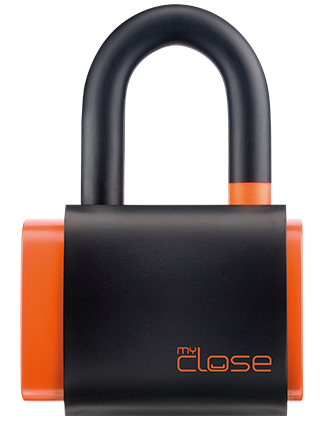 MyClose intent is to innovate the idea of security with a new generation of connected devices such as motorbike locks and motorbike brake disc locks that deploy the latest technological discoveries and features to protect your belongings and improve your safety in moving, working, living.